PEROU – - Chavin de Huantar - More than three millennia ago, ancient people flocked to Chavin de Huantar, a village in a high valley in the Peruvian Andes, to hear the oracles speak. And indeed they spoke—in the voice of resonant conch shell trumpets, and with the help of some clever architectural design, according to findings presented here today at the annual meeting of the American Association for the Advancement of Science. The research suggests that the Chavin culture, and perhaps other ancient cultures, knew acoustic tricks that might be the envy of a modern concert hall engineer. Chavin de Huantar consists of terraces, squares, ornate megaliths, and a temple, and there’s abundant evidence that it was used for religious ceremonies, sciencemag.org reported. The site also contains bas-relief sculptures sporting powerful animal imagery, including jaguars, condors, and snakes; images of hallucinogenic plants; and artifacts of the tools used to prepare them for consumption. 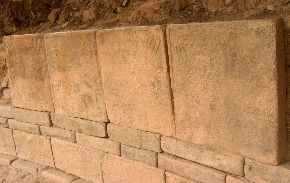 Chavin de Huantar is particularly well suited to the study of ancient uses of sound, says Miriam Kolar, an archeoacoustics researcher at Stanford University. In the 1970s, a Peruvian archeologist had identified a large canal at Chavín de Huantar with built-in terraces, which he proposed were built to create sound from water rushing over edge. 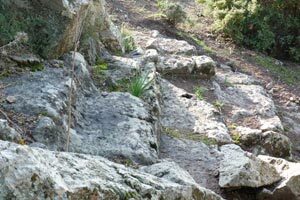 Kolar and her colleagues suspected that other parts of the site might have been designed and built to create certain sound effects. INDE – K Hemmanahalli - The Archeology Department was unaware of the existence of an 800-yearold temple on the outskirts of the city. The historical Sri Mahalingeshwara Temple at K Hemmanahalli was built by the Hoysalas around 1188 AD. 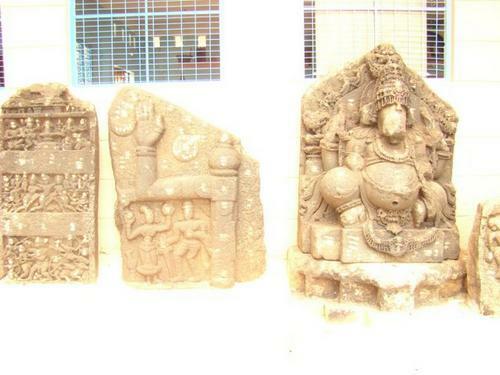 The temple housing rare sculptures, a Hoysala emblem, a Shivalinga and rare earthen pots was renovated in 1993. A stone inscription with details of the temple, important events of the Hoysala period like the queen offering puja to the king before he left for the battlefield and sculptures of various gods and goddesses were also found during the excavation. 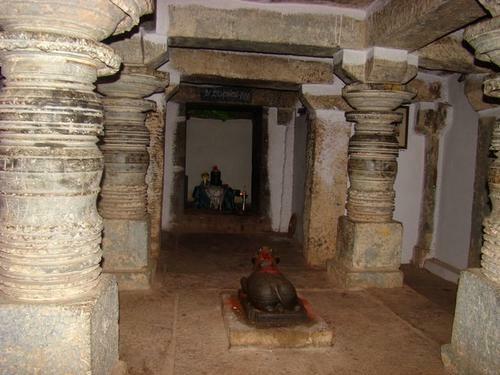 Sage Bhagiratha apparently worshipped the Shivalinga in the temple before it came under the rule of the Hoysalas, they say.While renovating the temple, the authorities decided to extend the temple’s premises.When contacted, Archaeology Department Director R Gopal acknowledged that the unearthed sculptures and artifacts were old but admitted he was unaware of the existence of the temple. GRECE – Lesbos - Le théâtre de l'antique cité de Pyrrha, sur l'île de Lesbos semble avoir été localisé sur le terrotoire de la commune actuelle d'Achladeri. 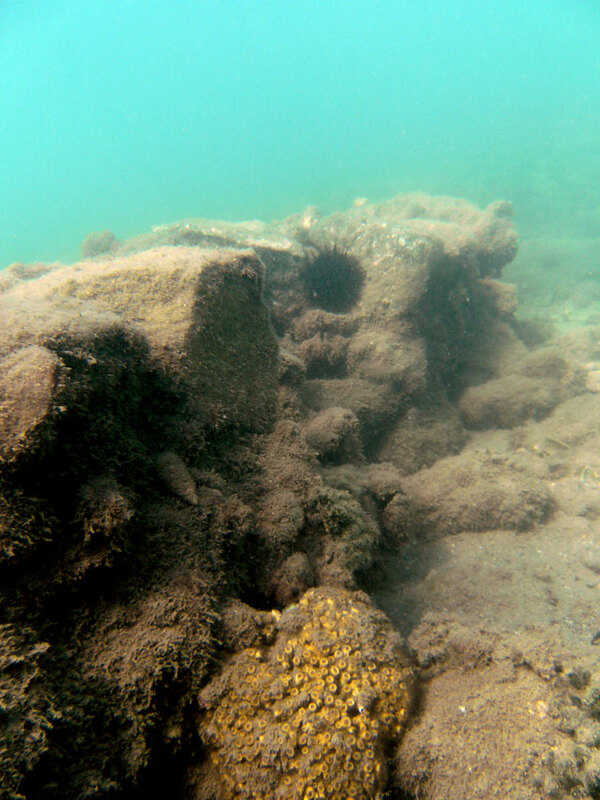 GRECE – Crète- Archéologie sous-marine : plusieurs épaves, datant de l'Antiquité aux temps modernes, ont été identifiées, notamment dans la baie d'Héraklion en Crète. ITALIE – Rome - Découverte d'une statue de Ménade sur le Quirinal ; on a peut-être localisé le sanctuaire de Quirinus. MYANMAR – Sri Ksetra – UNESCO plans to launch its first cultural project in Myanmar in 10 years, a senior official said last week. The capacity-building project aims to develop knowledge of preservation techniques and management of government staff at the Pyu city of Sri Ksetra in Bago Region. UNESCO assistant director general for culture Mr Francesco Bandarin said in a statement that Myanmar faced a “huge” task to preserve its rich cultural heritage and the project would raise awareness and technical capacity for restoring and managing cultural heritage sites. Italian experts worked on the preservation of mural paintings at Bagan that were damaged during the 1975 earthquake. Unique 12th century cloth paintings found in Bagan temples were also restored in Italy at the beginning of the 1980s. FRANCE - Launaguet - C'est un véritable voyage dans le temps que nous a offert l'association APAREA (Action de promotion et d'aide à la recherche en archéologie) en abordant le thème de l'archéologie dans le toulousain. Si Launaguet n'hérite de son nom qu'au cours du XVIIème siècle, son passé est bien plus ancien. Des fouilles archéologiques menées entre 1969 et 1971 ont mis à jour, dans la plaine des Monges, du mobilier céramique datant du néolithique. Un peu plus loin, à l'Union, c'est une pirogue taillée dans un tronc d'arbre qui a été découverte et dégagée de l'Hers. Launaguet ne gagnera ses contours actuels qu'à compter du Haut Moyen-âge, le village s'agglomérant autour de l'église, lui -même entouré de forêts et de vignobles. La Guerre de 100 ans poussera des communes comme Castelginest ou Fenouillet à dresser des fortifications. Puis viendra la période moderne avec de grandes métairies, puis la création de communautés agricoles qui amélioreront considérablement la qualité du sol et feront de Launaguet une zone maraîchère importante du Toulouse. 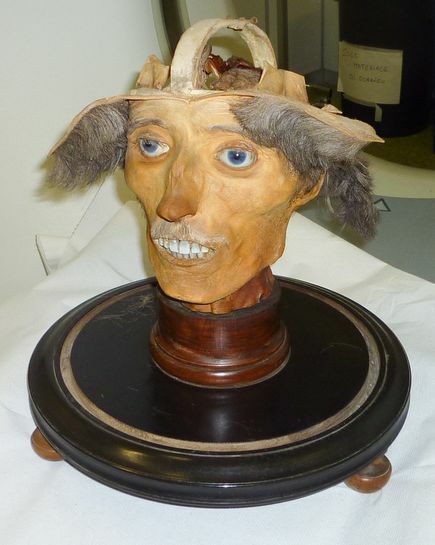 ITALIE – Salo - A mounted human head strikes a brain-teasing pose—just one of eight forgotten but stunningly preserved 19th-century Italian mummies whose secrets of preservation have only recently been unraveled. Working in the town of Salò, anatomist Giovan Battista Rini (1795-1856) "petrified" the corpses and body parts by bathing them in a cocktail of mercury and other heavy metals, according to new chemical analyses and CT scans, to be described in a future issue of the journal Clinical Anatomy. The study marks the first time a collection of Italian mummies made for anatomy studies has been analyzed in detail, according to study team member Dario Piombino-Mascali, a forensic anthropologist at the Institute for Mummies and the Iceman in Bolzano, Italy.